Chronicle Books sent us a copy of the hilarious and fascinating book Glamourpuss - The Enchanting World of Kitty Wigs. 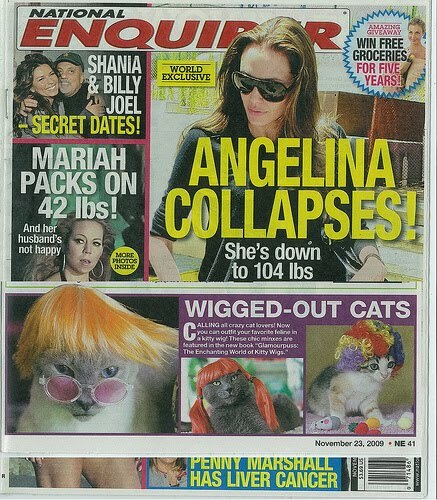 -- According to cuteoverload.com, we have officially reached "totally new levels of redonkulessness." 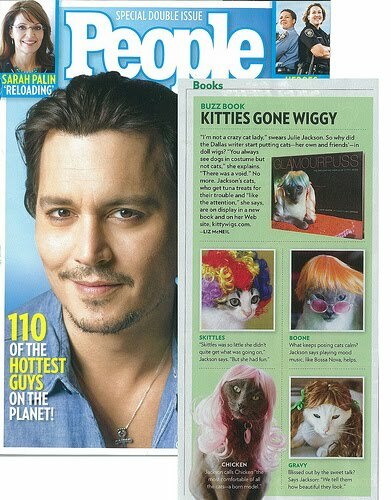 The Kitty Wig craze—sprung from the feverish imagination of Julie Jackson and her purring partner in crime—has swept the globe. 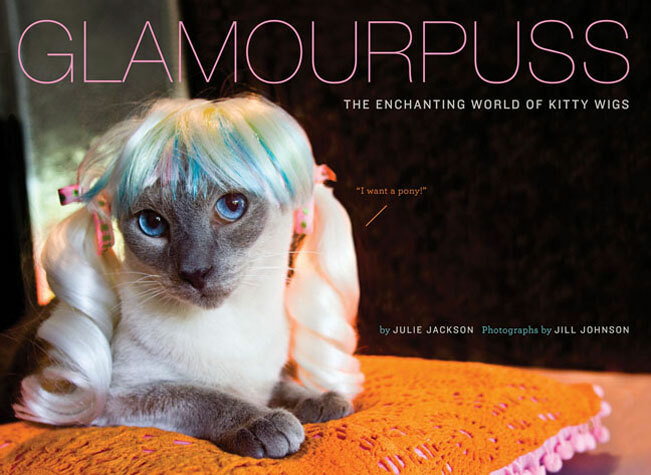 Glamourpuss presents 60 stylish portraits showcasing furry models in the most fetching custom-made cat wigs ever created. The chic felines in this delightfully odd book answer the age-old question: what on earth do cats do all day? Make no bones about it—these utterly fashionable minxes are the hottest pet trend since cats in hats! 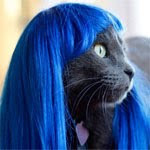 Julie Jackson is the creator of Kitty Wigs and kittywigs.com, the online shop for discerning cat owners around the world. She shares an office with her Siamese cat, Boone, in Dallas, Texas. 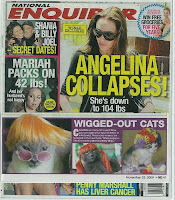 Check out Glamourpuss in the lastest issues of People and The National Enquirer! That's right! We are on the cutting edge!